Hooray for meeting all of your goals! I totally agree about seeking additional balance in 2018 -- I want to be more intentional with what I say yes and no to and to focus on things that are good for me and my craft and not just things that are good for business. Good lists! Thank you for waiting until after Christmas to do your linky. I am enjoying the holidays and will think about the new year next week. Congrats on a very successful 2017 and good luck with your goals for 2018. With the book coming out, you'll be very busy next year. Wishing you good balance in 2018! You had a terrific year and a great one coming up! Good luck with your goals! What a great year!!! Can't wait for your book! February can't get here quick enough! I'm really looking forward to your book coming out in Feb! Wow, you were busy. Looking forward to your book. Happy Holidays. Good for you making all your goals. I am going to miss having a Mystery quilt. I just love the one we just finished.-not of course that I don't have a ton of other quilts to make. Wonderful goals. Balance is a great word for 2018. Looking forward the The Best Of link party. But seriously, wonderful goals though I'll really miss the mystery but the quilt along sounds great. Looking forward to your book! When I grow up, I want to be just like you! Meeting all your goals, that is. You did very well in 2017 and I'm sure you'll do well in 2018. I am really looking forward to being in the book hop. Congratulations on your fine achievement and on your upcoming published book. Looks like you had a super year meeting and surpassing your goals. I wish you the best in 2018. Happy for your, Cheryl! You're going to have a great year (and I love the idea of setting less goals). Wishing you all the balance in the world! Well done Cheryl. Lots of goals met and a great outline for next year. Cheryl I am a fan and love the way you are a successful quilt pattern designer. All the best for 2018. Congrats on achieving all your goals in 2017! I like your theme for 2018 - balance is so difficult sometimes. 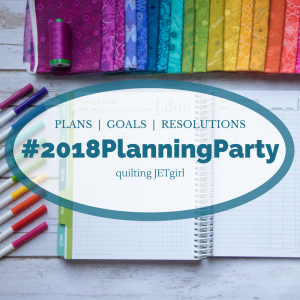 Thank you so much for all that you do for the quilting community - I look forward to the Plus QAL in 2018! Happy Holidays! Congratulations on all your accomplishments for this year. I look forward to seeing more of your book etc. I like that you chose Balance....its one of my focus areas this year. I need to decide whats in and whats out :-) Good Luck. It all sounds Awesome Cheryl! Congratulations on a great year and I hope the new one is just as great but maybe a little more balanced. Need your book! So many achievements in 2017, congratulations on achieving all your goals. You have chosen a great theme for 2018, balance keeps us healthy and happy, what we all want really. Looking forward to the blog hop and quilt along. Congrats on achieving your goals. I wish you success with your 2018 goals.